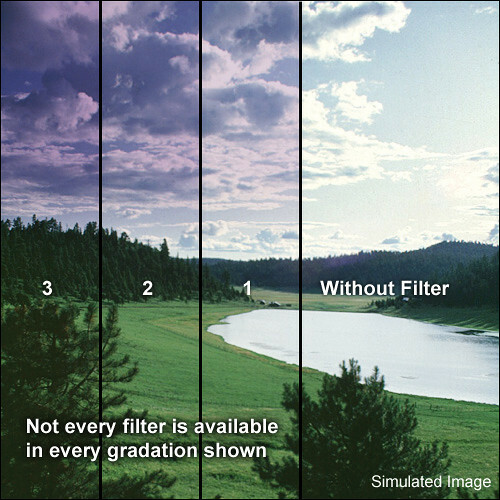 Formatt Blender Filters resemble traditional graduated filters except that they are colored on top with a gradual transition to more subtle at the bottom. Graduated filters transition somewhere in the middle of the filter. This is a bluish/purple filter that brings a cooling effect to the image. It's stronger in the blue end.